Given Houston’s new contender status, the Rockets might be best served by making Chandler Parsons a free agent next summer. 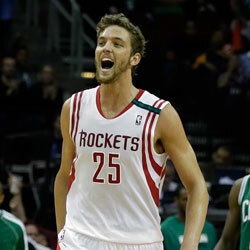 Chandler Parsons has several reasons to be excited about his future in Houston, including a new contract in either 2014 or 2015. Restricted in 2014, or unrestricted in 2015? That’s the Rockets’ dilemma with the future of Chandler Parsons, as outlined in April by our own David Weiner. The 2014 scenario, which means declining Chandler’s option for 2014-15 and allowing him to hit restricted free agency, would give the Rockets the right to match any outside offer and likely result in a more team-friendly contract. Meanwhile, the 2015 route would offer future cap flexibility by giving Houston two more seasons of cheap labor (sub-$1 million) from Parsons along with a miniscule July 2015 cap hold of $1.8 million. 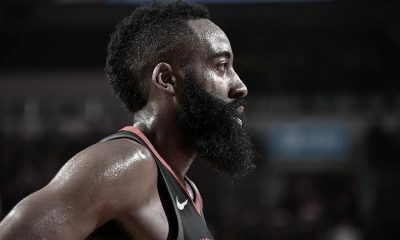 Before Howard’s arrival, the thought was that July 2015 could be another opportunity for the Rockets to add a max player, given the expiring contracts of Jeremy Lin, Omer Asik and most others on the current roster. But for a contender, cap flexibility has a price. Look at Mark Cuban and the Mavericks, who had to dismantle their 2011 championship team in order to have max-level flexibility. With Howard and James Harden locked in, the Rockets have over $38 million in guaranteed 2015-16 salaries just between those two. Let’s hypothetically add in a $1.8 million cap hold for Parsons, then minimum cap holds ($500K each) for the other nine roster spots, totaling about $6.3 million. That’s $44.3 million in committed salary in July 2015, even if the Rockets apply a Cuban-esque philosophy of no extensions and no signings beyond a year. The salary cap was at $58.6 million this summer. Let’s assume a modest increase to around $62 million by July 2015, giving the Rockets just over $17 million in cap room in the most optimistic scenario. That means that over the next two years, acquiring or extending even one player with a contract beyond 2015 would take the Rockets below max room, thus defeating most of the purpose. With the Rockets now a contender and firmly in “win now” mode, I expect further acquisitions to happen. I think Daryl Morey will use the full mid-level exception (MLE) to bring in talent next summer. 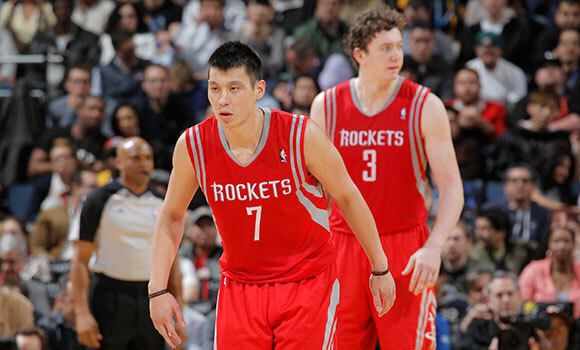 I expect that Asik will ultimately be moved in a package for a power forward, by February 2015 at the latest. I assume the Rockets will be as aggressive as they can to immediately build the best supporting cast, which probably means bringing in players with contracts beyond 2015. In turn, the importance of “cap flexibility” will be somewhat reduced as it pertains to the timing of Parsons’ deal. Just ask Kyle Lowry and the rest of the NBA. The centerpiece to the Harden deal was the innovative “guaranteed lottery pick” that Morey acquired from Toronto. Why did the Raptors give it up? Because Lowry was a good starter on an extremely-friendly contract, which Morey set the terms for by leveraging Lowry’s restricted status and allowing Cleveland to “set the market” in July 2010. Quite simply, if rival teams believe their offer to a restricted free agent will be matched, they’re less likely to make an offer in the first place. Many aren’t willing to tie up their free-agent money for up to two weeks (at least part of the 10-day moratorium, plus the 72-hour period after signing the offer sheet) over a low probability. That leads to fewer teams in the market for that player, and ultimately a lower contract based on reduced competition. It worked for the Rockets with Lowry, who ended up signing a four-year deal for just above MLE money, and it could help with Parsons as well. At the least, the deal would be on friendlier terms for the Rockets than if Parsons hit the market as an unrestricted free agent in July 2015. 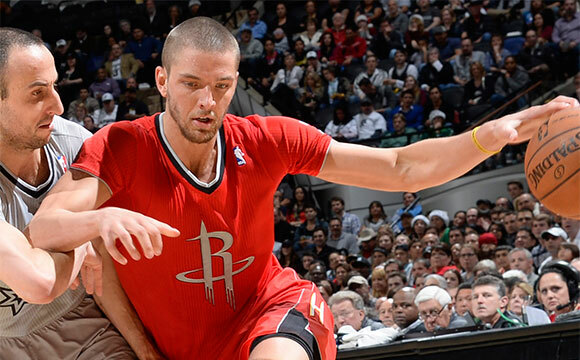 Jeremy Lin left New York due to a “poison pill”, but that should not apply with Parsons. It is true that Lin and Asik jumped teams as restricted free agents, but their situations were not comparable to the one with Parsons. The reason the “poison pill” approach worked on the Knicks when Jeremy Lin was restricted is because New York didn’t have Lin’s full Bird rights. The most the Knicks could offer was a four-year, MLE deal (about $24 million). Both sides knew Lin had to go elsewhere to sign a richer offer sheet, even though Lin planned to return and the Knicks intended to match any offer. Then, of course, Morey added the steep third-year increase, and New York balked. It’s different with Parsons because he will have been under the same contract in Houston for three seasons, thus giving the Rockets full Bird rights and allowing them to exceed the salary cap to re-sign him at any amount. Likewise, because of his tenure, Parsons is not subject to the “Gilbert Arenas rule” that Lin and Asik were, which allowed those offer sheets. 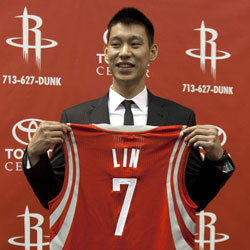 In the end, Parsons — unlike Lin — doesn’t need to sign elsewhere to get above-MLE money. 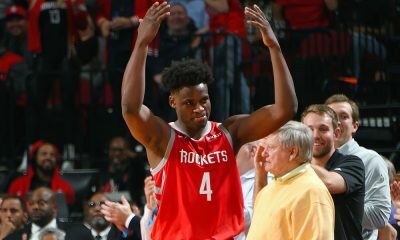 If he wants to stay in Houston, as it appears he does, he and new agent Dan Fegan can shop themselves to the rest of the league and then take the best offer back to the Rockets. Houston could then offer the same “total value” deal itself and without any poison pill, trade kicker or other tomfoolery. Yes, it’s possible that making Parsons a restricted free agent could expose the Rockets to a situation in which another team offers him a ludicrously large contract, much like Utah with Carlos Boozer after Cleveland allowed Boozer to prematurely exit his original contract during the summer of 2004. But that risk could be even greater should Parsons become an unrestricted free agent in July 2015 and engage in a true “bidding war” format. There are no guarantees in free agency, even restricted, but Morey’s ability to relentlessly tell the league that he can and will match all offers (as he did with Lowry and Scola) seems likely to scare away the most intense poachers. 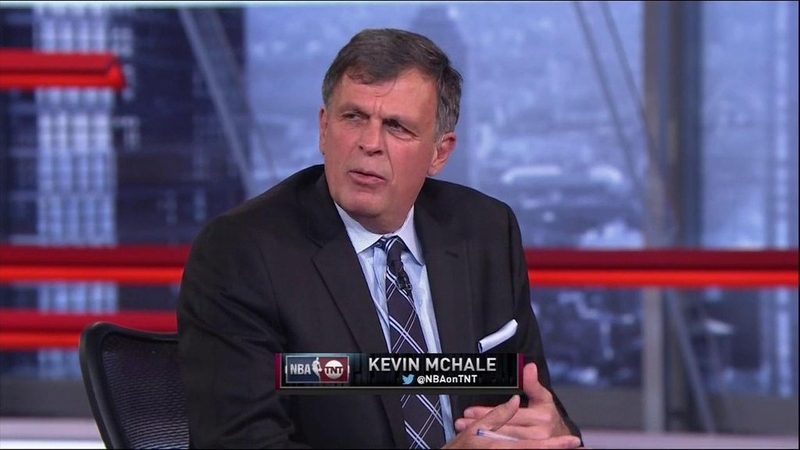 Would Chandler still be happy if the Rockets play hardball? Probably. While he’d ultimately get a richer “total value” deal if he waited until 2015, a deal in 2014 would substantially boost his 2014-15 salary from $964,000 to somewhere in the neighborhood of $7 million. That would likely offset any loss in overall value and keep both he and Fegan on good terms with club management. 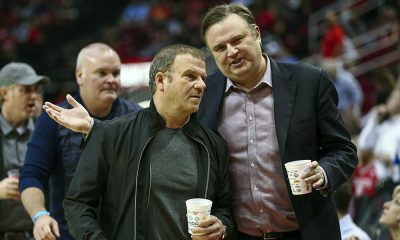 Morey and owner Les Alexander could frame the negotiations as a “reward” for Parsons, since they would be giving him a rich contract a year earlier than required. What if Parsons is ultimately trade bait? 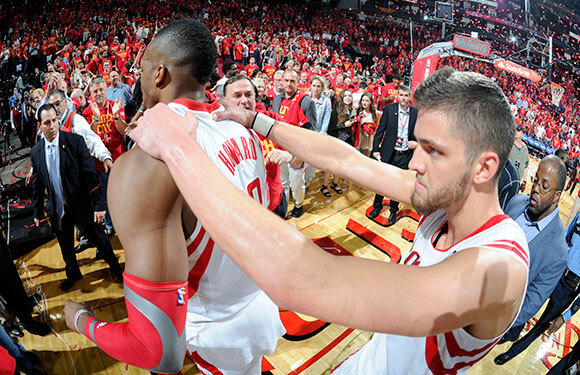 There’s a theory in some Rockets’ fan circles — one that I don’t agree with — that Parsons will ultimately be traded once he becomes too expensive. The logic is to either save Les Alexander a steep luxury tax bill or to eventually package Parsons in a deal for a third All-Star piece. Even under that hypothetical, my guess is that Parsons is more desirable on a fair long-term contract than a short-term deal at $1 million. Teams won’t trade significant value for a young, Fegan-controlled player entering unrestricted free agency. The risk is too high. But if Parsons signs a reasonable deal (4 years, $30 million? ), his market value could be comparable to Lowry’s or even better. So if not via free agency, how do the Rockets get a third star? The ideal route is for Parsons or Lin to develop into one. But even if neither does, a package of Asik/Lin, prospects and draft picks isn’t a bad trade offer, especially if the player in question (LaMarcus Aldridge?) is pulling strings behind the scenes to leverage his way to Houston. See Dwight Howard’s August 2012 trade to the Lakers as a primary example of how much power superstars can ultimately wield, even when they’re under contract. The bottom line is that with two All-Star talents in the fold, the price of retaining cap flexibility is likely too high. 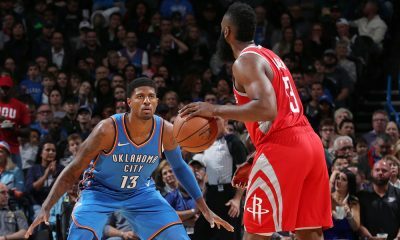 The Rockets are in contending mode and will do everything they can to immediately build a championship supporting cast around Harden and Howard. In the case of Parsons, that means finding the most team-friendly contract possible, which probably comes via restricted free agency. 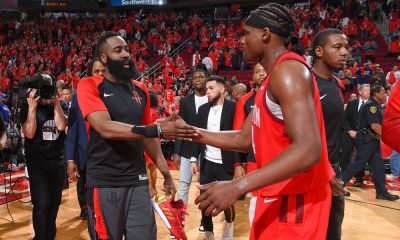 Do the Rockets have the NBA’s best backcourt?